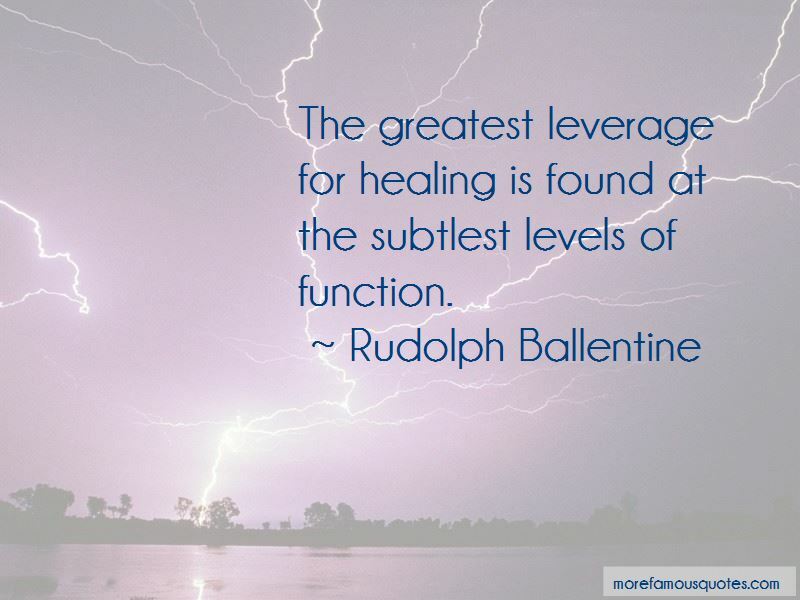 Enjoy the top 4 famous quotes, sayings and quotations by Rudolph Ballentine. 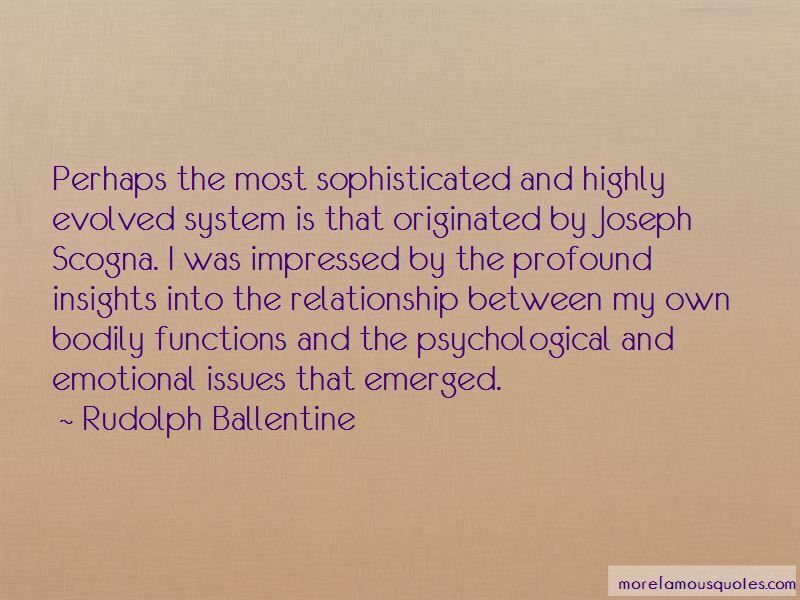 Perhaps the most sophisticated and highly evolved system is that originated by Joseph Scogna. I was impressed by the profound insights into the relationship between my own bodily functions and the psychological and emotional issues that emerged. 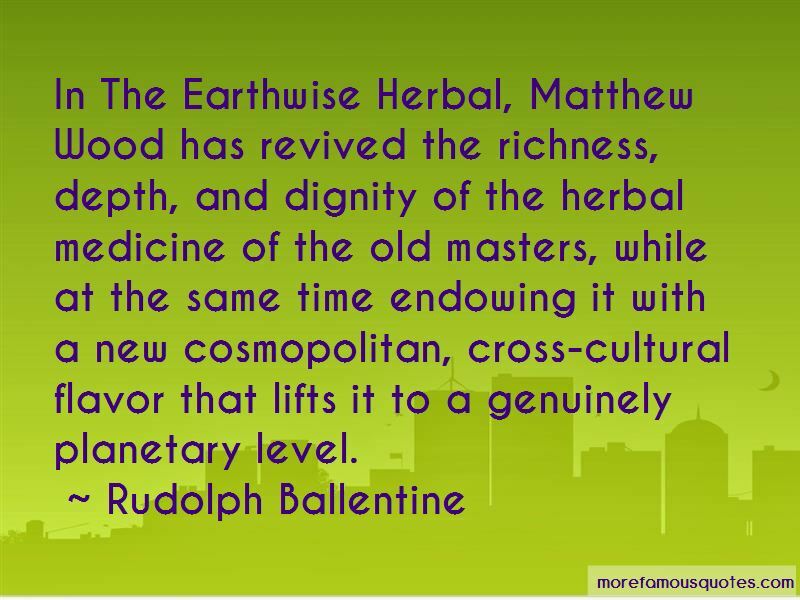 Want to see more pictures of Rudolph Ballentine quotes? 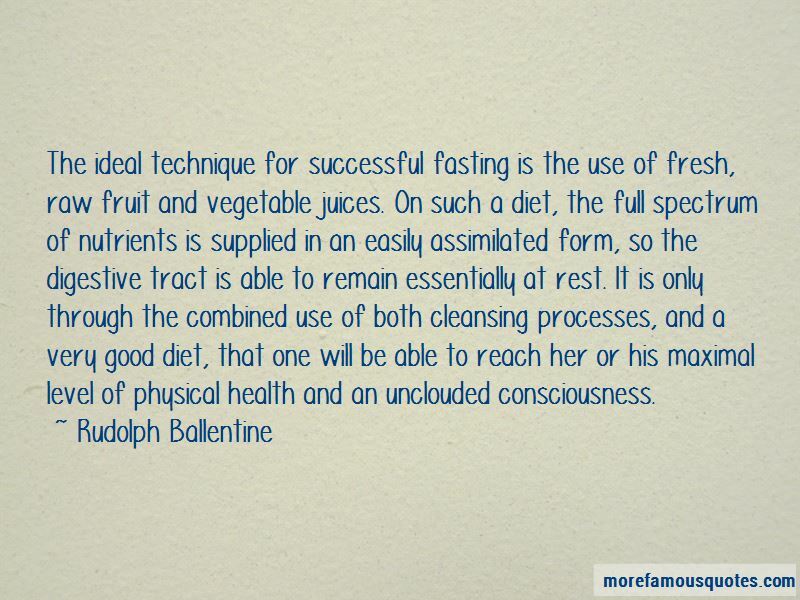 Click on image of Rudolph Ballentine quotes to view full size.